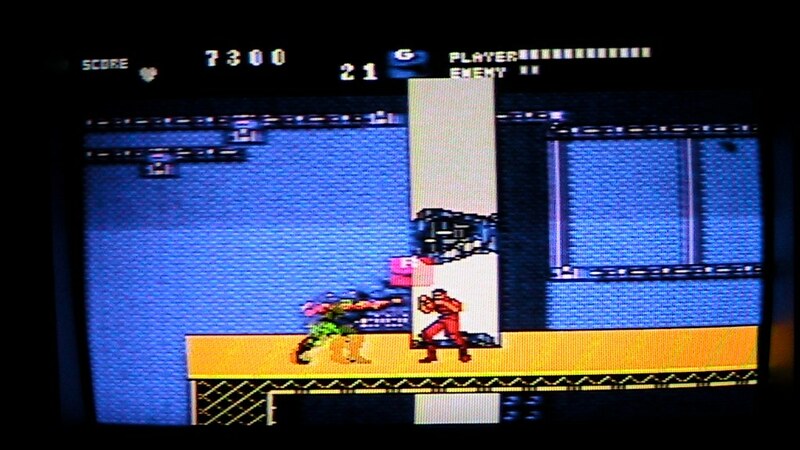 Not much can be found on the internet about this game, except that it was developed by Opera House in 1991, famous for porting to home consoles from Arcades like Midnight Resistance, Rastan Saga 2, and Captain America and the Avengers. Those games were somewhat decent at least.. So the storyline in short: The Dark Zone, which is the name of your town, has been taken over by gangs and crooks, you play as Detective Gray, a cop who’s partner was gunned down by said crooks, and you’re avenging the death of him by plummeting yourself into 5 levels of fighting through monotony and cardboard cut-out characters to defeat “M”, the big boss of said town. 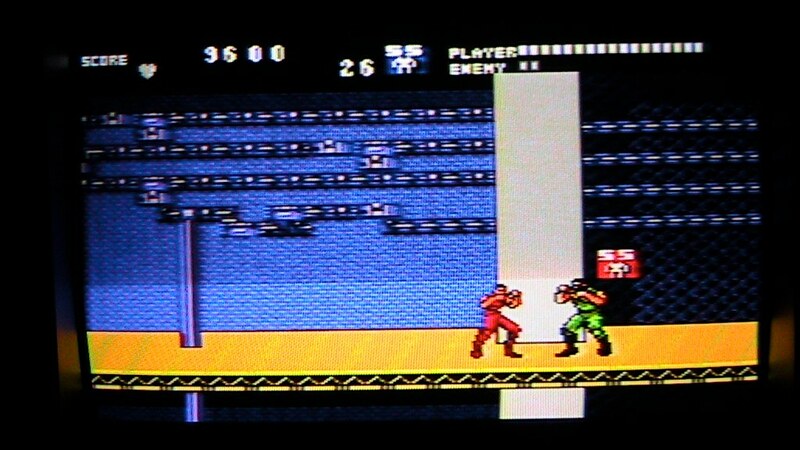 Okay, first off, the graphics are what you’d expect from a game on the Master System. Simple, yet effective for the given hardware there, granted I’ve seen decent graphics pulled off nicely on a Master System, I mean look at Sonic Chaos for example, or Fantasy Zone even! 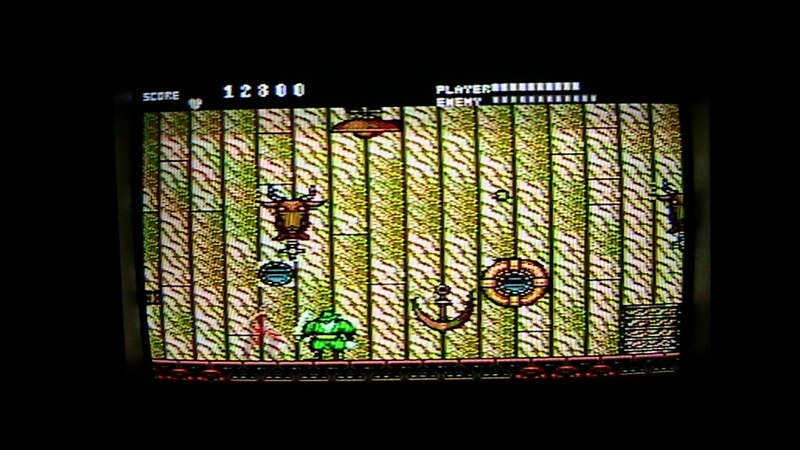 They’re very colourful games, Running Battle tends to go for blander colours. The music in this game is the only thing that shines, especially when the game has horrible animation in the characters, kind of like waddling a piece of cardboard across the screen, except cardboard doesn’t flicker/disappear when moving.. 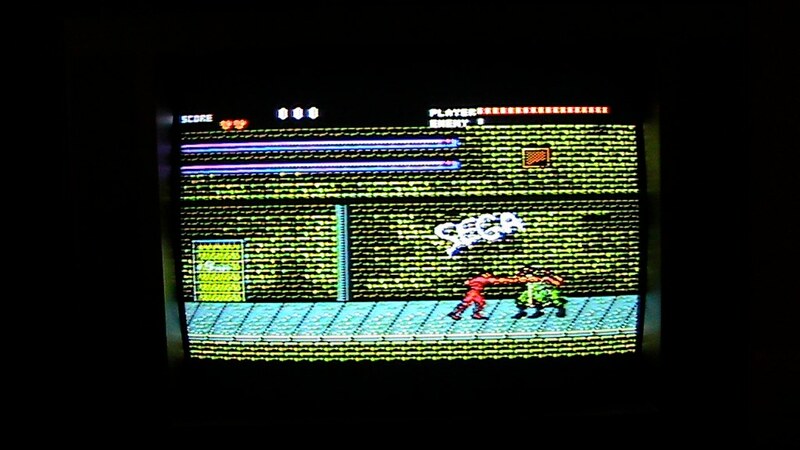 The collision detection in this game is beyond arse.. As in you can’t even get close enough to the thugs with your fists or kicks. Thankfully you do get some power-ups, like a pistol, rifle, super strength (one hit and the thugs are dead.. if you get close enough to hit them), and then there’s 5-second invincibility. 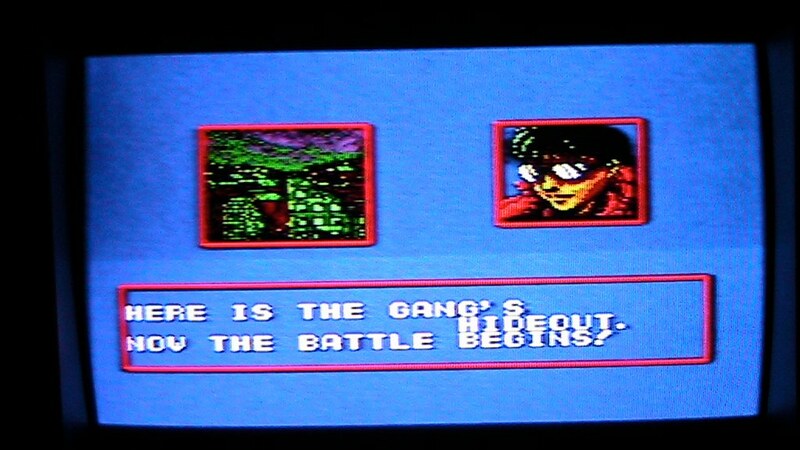 And forget the storyline and character development, you just fight 5 bosses, defeat the end boss and then greeted to a one-screen, one sentence, one picture end sequence. I honestly don’t know what happened when this game was developed, whether it was meant to be a tax write-off? 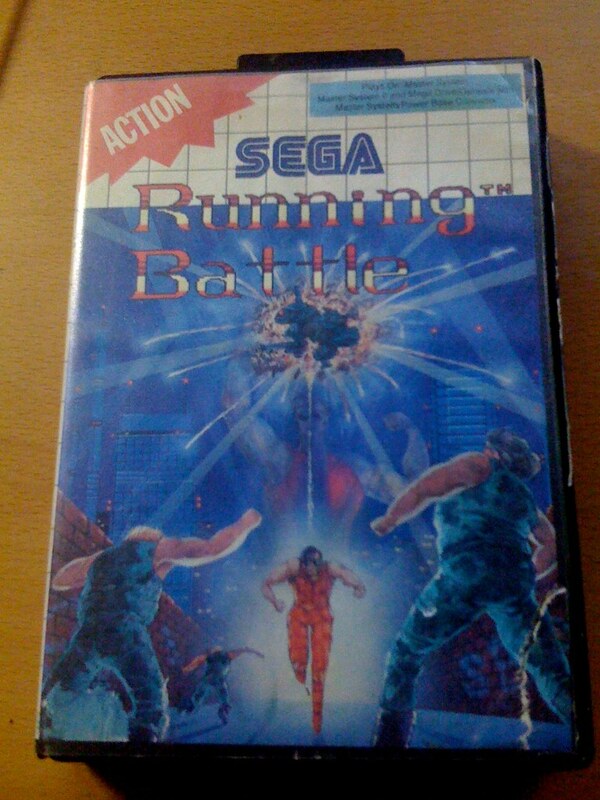 There were some great titles in that time on the Master System (Sonic 1, Asterix, Strider, Castle of Illusion) as well as its competitors like Battletoads and Star Wars on the NES. If you see this game in the stores, grab it for the music. But don’t expect anything to pull you in and keep you playing for hours on end..